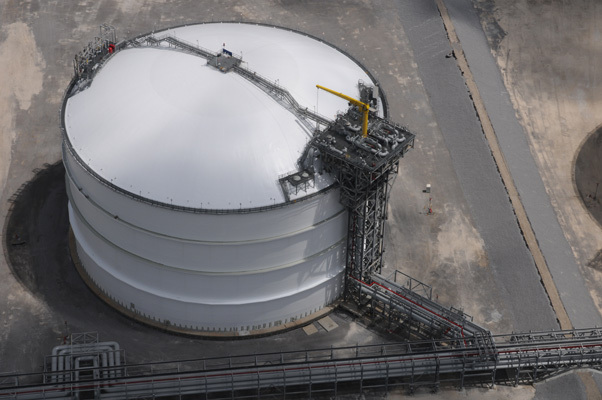 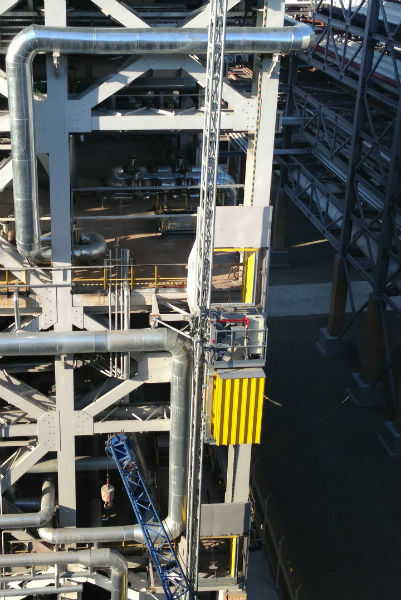 Trusted by gas, refining and petrochemical facilities worldwide, GEDA USA's state-of-the-art industrial rack & pinion elevators are ideal for both temporary and permanent installations. 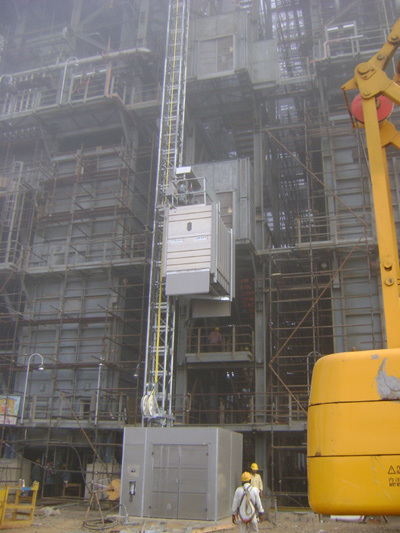 Our line of freight and personnel lifts and hoists provides reliable vertical transportation for employees and cargo, whether utilized for daily maintenance, inspections or turnarounds. 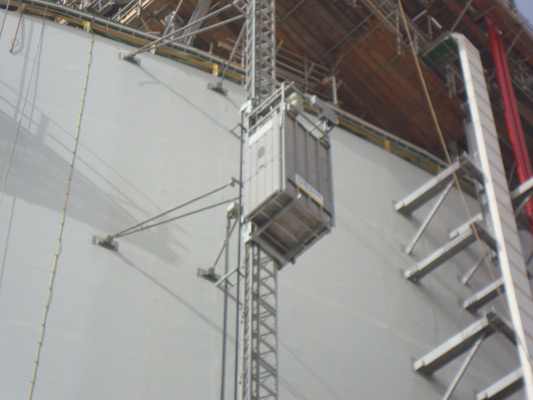 Choose from GEDA’s variety of flexible platform dimensions, with lift and hoist capacities ranging from 650 lbs. 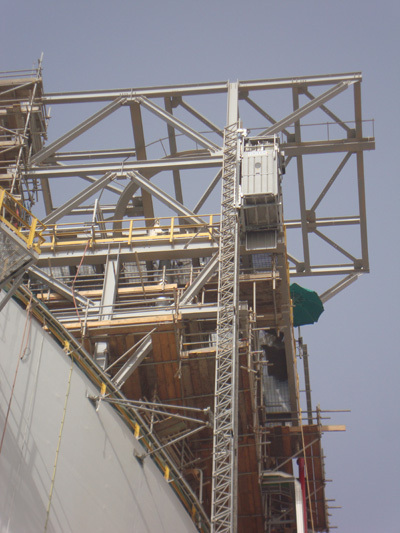 to 10,000 lbs. 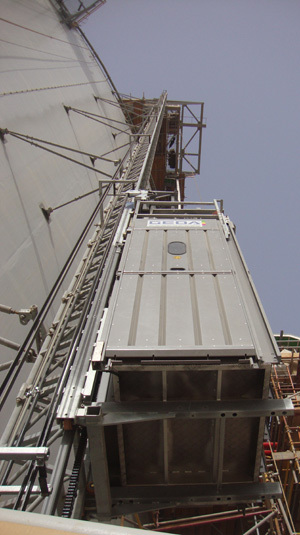 Elevatorsare designed with lifting speeds of up to 300 ft/min, and explosion-proof models can be ordered when working environments contain flammable gases, liquids or other materials. 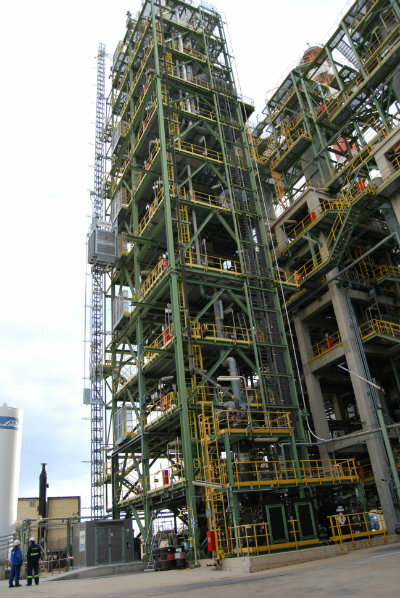 GEDA adheres to all applicable industry codes, and products can be certified to meet ANSI A17.1, EN-81, and ATEX Hazardous Conditions. 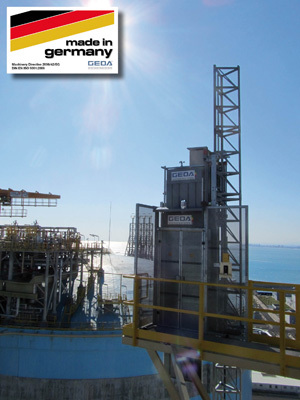 In addition, GEDA is ISO9001:2008 compliant and is a proud member of the German Engineering Federation (VDMA). 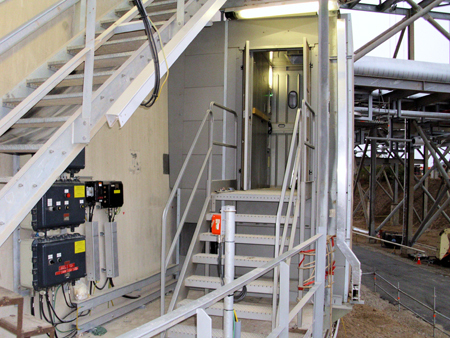 For questions about elevator features, product pricing or custom product designs, call a qualified GEDA team member today. 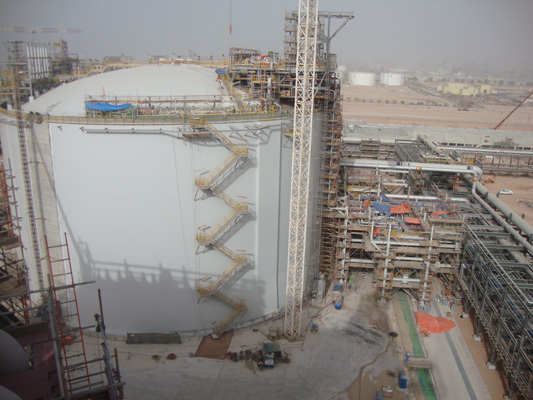 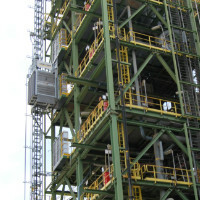 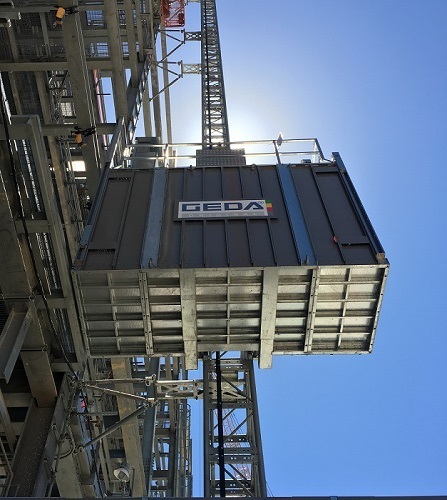 GEDA USA’s explosion-proof rack & pinion elevators are designed for safe, rugged operation in refinery maintenance operations, shutdowns, and turnarounds..